Pizza Dinner or Epic 50th Anniversary Surprise? You Decide! 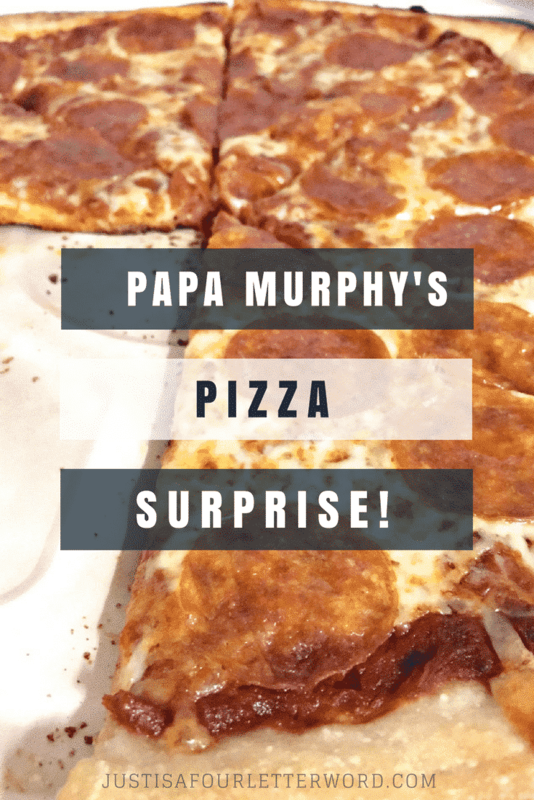 Home LifestyleFamily	Pizza Dinner or Epic Surprise? I’ve been keeping a secret! For the past several weeks, my family has been planning a surprise for my mom and we finally spilled the beans after a tasty pizza dinner at my parents’ house. 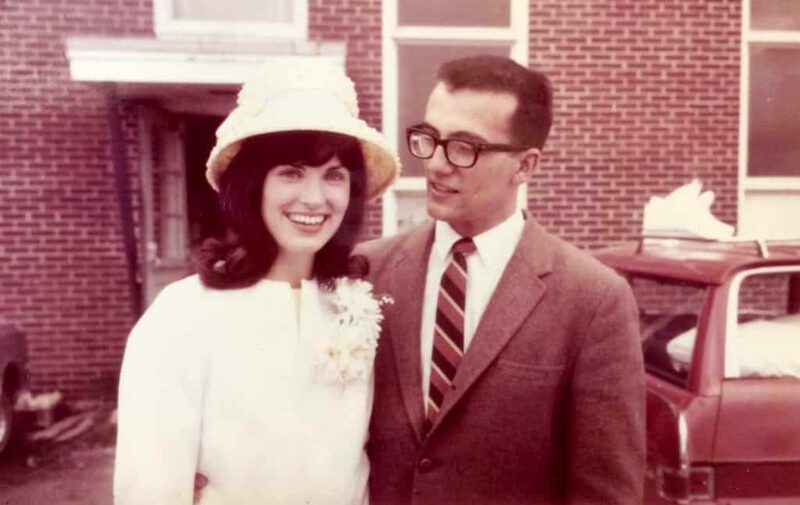 Here’s the scoop; in June of this year, my parents will be celebrating 50 years of marriage. I’ll just let that sink in. F I F T Y . Y E A R S .
In 1967, the year my parents married, the world was a different place in almost every way. 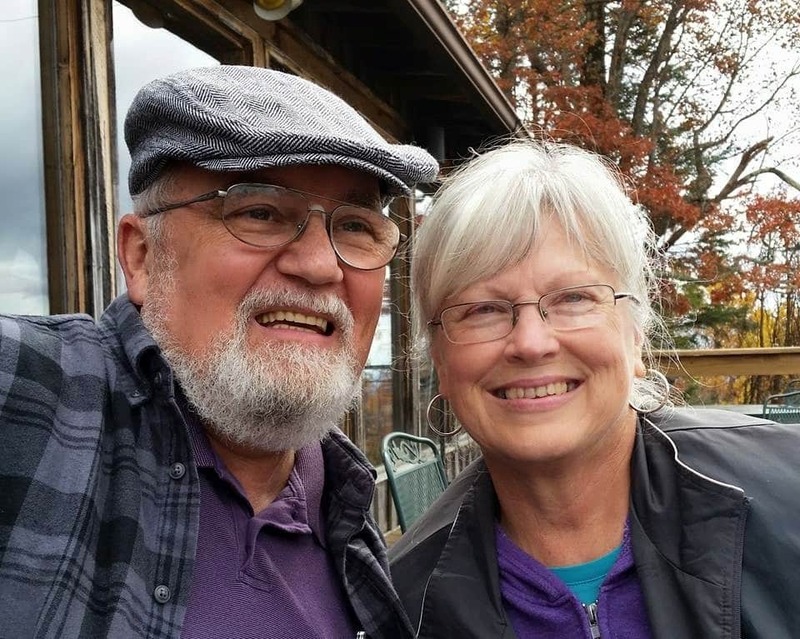 Over five decades of pop culture, international unrest, wars, technology and changing political climates, my mom and dad managed to keep each other first and become the pillars of our family and our community. They share their wedding day with the day Israel emerged victorious from the 6-day war and they have held a special place in their hearts for Israel ever since, learning and visiting several times over the years. To celebrate their 50th anniversary, my siblings and I decided to send them on an epic Jerusalem celebration! My dad was in on the surprise, but mom had no idea. When it came time to spill the beans, we were trying to figure out the best way to get everyone together without seeming too suspicious. 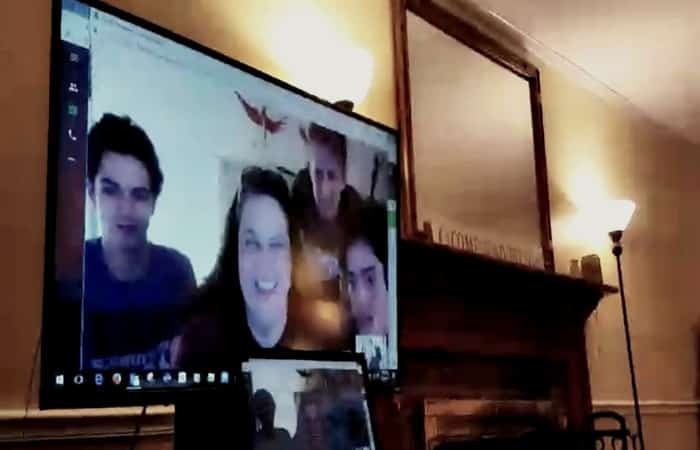 We also needed to make sure my sister and her family could dial in from another state and be a part of the big reveal. 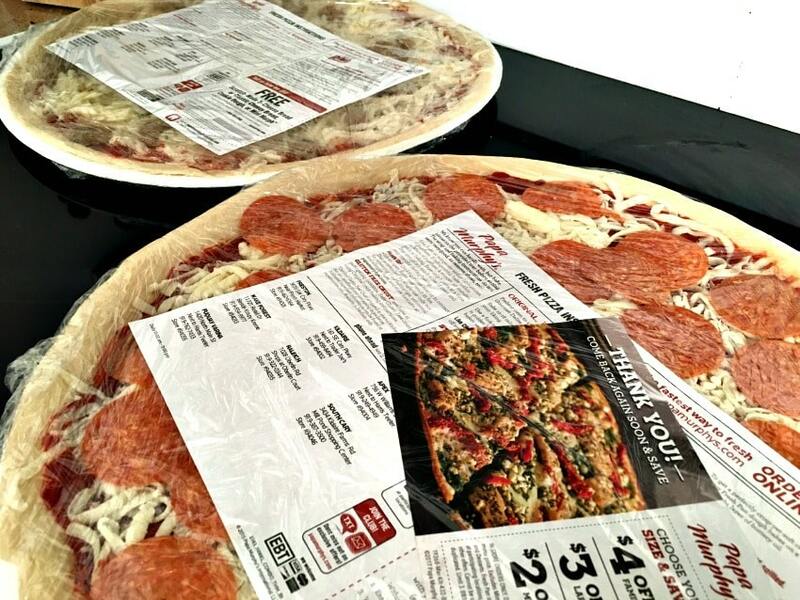 In my family, a pizza dinner is never suspicious. In fact, we all eat it weekly and Papa Murphy’s is a household name. 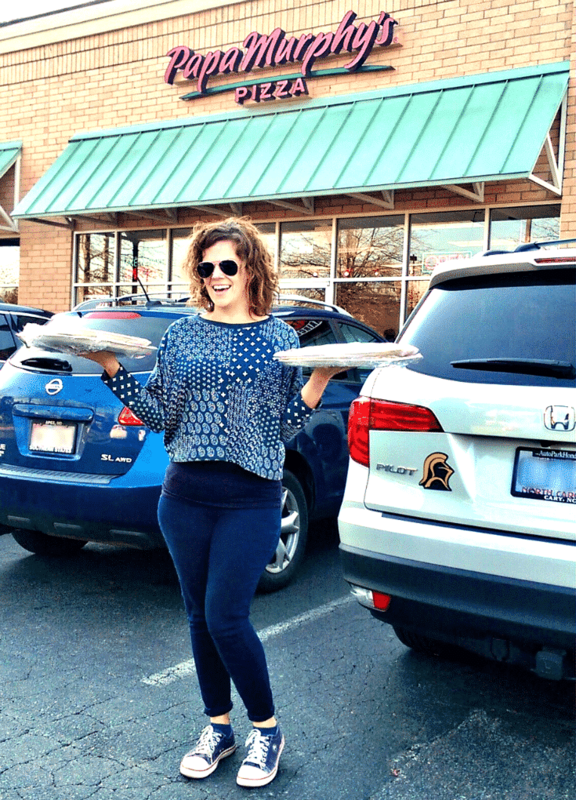 It wasn’t hard to decide that we would pick up a few yummy take and bake pizzas on our way to their house. 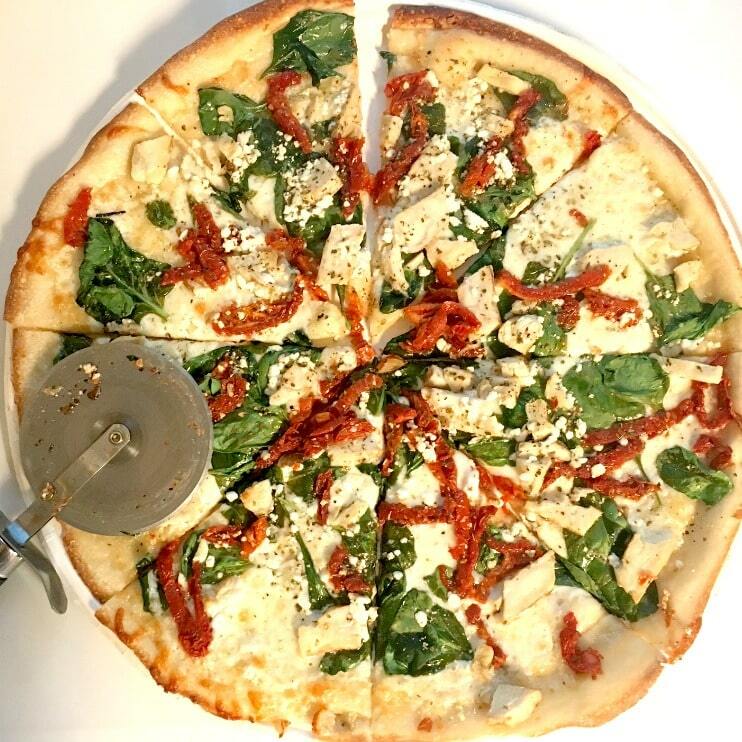 You could say that pizza is almost like a family member to us. We had a great evening chatting and baking our pizza dinner in the kitchen while the cousins played and everyone caught up. It has actually been a while since we had a good old fashioned family dinner. With or without the surprise, this would have been a great night! We fed nine people with very different tastes. Some wanted original, some preferred thin crust pizza. 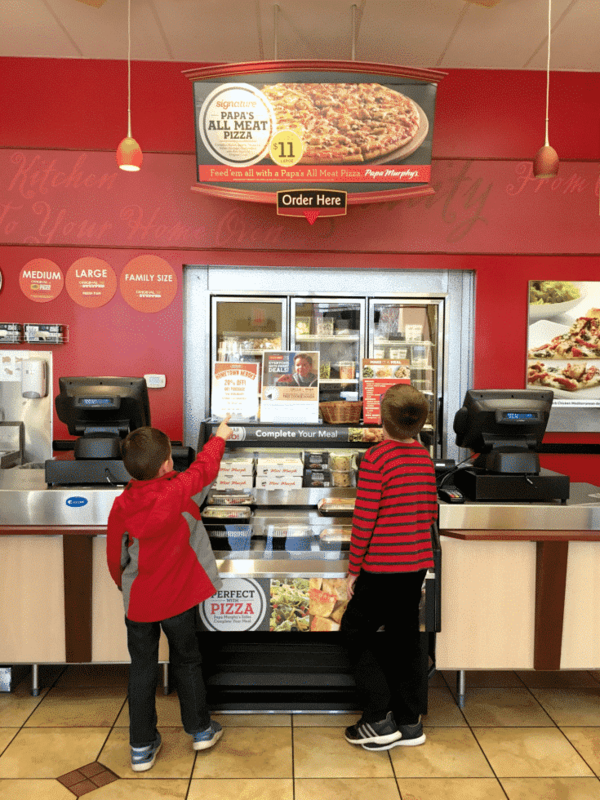 My boys love the classic pepperoni pizza while I was happy to give a nod to our special surprise with the Herb Chicken Mediterranean pizza. In fact, I traveled to Israel with my parents as a teen and that’s where I fell in love with the idea of feta cheese on pizza. It’s my favorite! That said, all the pizzas were fantastic and I loved being able to enjoy a fresh and easy dinner without having to battle with restaurant crowds. The Big 50th Anniversary Reveal! After we were fed and full, I helped mom clean the kitchen while the others got the video chat all set up. I’m so glad my sister Amy thought to film the surprise! It was on the down low but I love this pic of our other sister (Angie) and her family joining in on the fun. We’re enlisting the help of our friends and family to send our folks to Israel for two weeks in June. Their history will forever be intertwined with the Holy Land and I really can’t think of a better place for them to celebrate. Now that the surprise is out, mom and dad get to enjoy the next few months of planning, preparation and dreaming about their trip. Fifty years of commitment, fifty years of love, fifty years of hard work, sacrifice and forgiveness. What a legacy. What a gift! They definitely earned this. I’m thrilled that we are able to facilitate an amazing 50th anniversary celebration for my parents. I am forever grateful to both of them for giving so much of their lives to us over the years. It feels really great to be able to give back in this way. What a fun way to reveal the surprise to your mom! And that pizza? It looks delicious and what a fantastic way to please everyone.